Kakani Shivapuri trek route is yet another short and diverse trekking trail available in Kathmandu Valley. 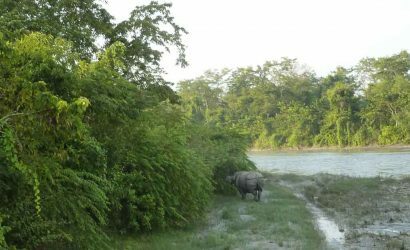 This is a quiet and more pristine destination ideally suitable for short trekking holiday with family, friends and children. 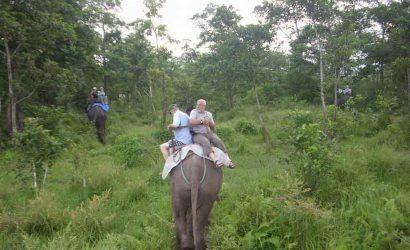 The trek starts at Kakani reached with a pleasant drive about 25 kilometers northwest of Kathmandu. The trek offers excellent mountain views of Ganesh Himal, Langtang Himal and the Annapurna. This lush green trek is an extension of Sundarijal Nagarkot trek which is undertaken mostly within Nepal’s latest Shivapuri National Park. This is the only national park located in the capital city in less than 20 kilometers from the international airport. 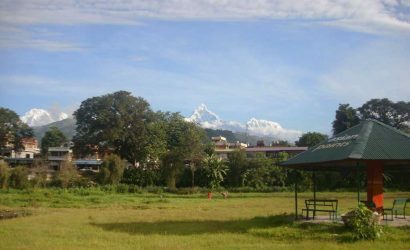 The park is the famous watershed area and the biggest resources of Kathmandu’s drinking water supply. The trek offers beautiful landscape and great views of over 30 snowy peaks including lifestyles, history, culture, religion and traditions of different people living nearby the Kathmandu Valley. The Kakani Shivapuri trek is also a blend of wilderness, great scenery of Kathmandu Valley, traditional villages and farming lands. Finally, the ultimate section of the trek takes us through Nagarkot to Banepa. Nagarkot refers to as a hill station and popular among the visitors to Nepal. Drive from Kathmandu to Kakani (1,982m/6,502ft) and trek to Aaledanda. We drive to Kakani about 25km, north-west of Kathmandu. 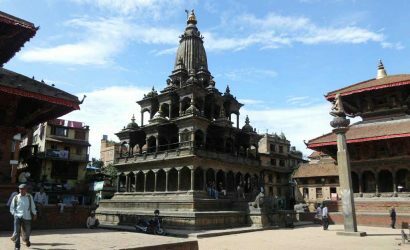 Kakani is a famous place for the magnificent views of the Kathmandu Valley and panorama of the Himalayas. Kakani has also become a popular picnic spot now-a-days. Then we walk along the ridge through the Shivapuri national park and reach Aaledanda for overnight stop. Trekking time 4-5 hours. Trek Aalendanda to Shivapuri (2,732m/8,963ft). We trek from Aaledanda to Shivapuri along the ridge that takes mostly through the forest. Along the way there are spectacular views of Annapurna, Manaslu, Ganesh Himal, Langtang and Jugal Himal. Finally we reach on the Shivapuri ridge and camp on the flat grassy summit. Trekking time 5-6 hours. Trek Shivapuri to Chisapani (2,215m/7,267ft). Today we trek along the ridge and reach at Chisapani. It is a beautiful walk with the panoramic attractions of the Himalayas. We stop at Chisapani for overnight rest. Trekking time 5-6 hours. From Chisapani we trek through the forest and village where the trail is enriched with the views of Himalayan panorama including the Mt. Everest. We stay overnight at lodge or hotel. Trekking time 4-5 hours. Trek Nagarkot to Banepa and drive back to Kathmandu. 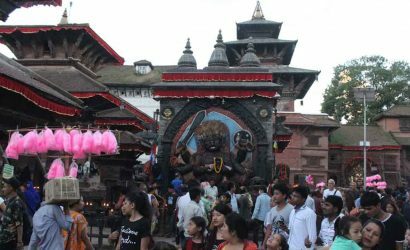 It is an easy walk downhill to Banepa, a historical Newari town. 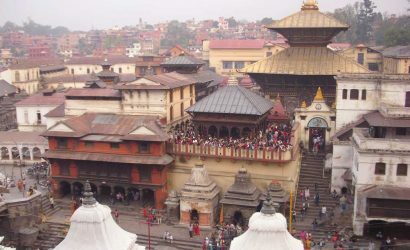 Banepa serves as the gateway for trade between Nepal and China (Tibet). We then drive back to Kathmandu. Trekking time 4-5 hours.